Green tea is made from Camellia sinensis leaves that have not undergone the same withering and oxidation applied when processing Camellia sinensis into oolong tea and black tea. It is well known for high level of vitamins and anti-cancer properties, and have been gaining popularity over the last decade. For this month, we curate a collection of 4 green teas. In tasting all these teas, we bring you to appreciate and compare between green teas made from China and Japan, how similar methods in China and Japan can produce tea with different characteristics and how roasting and aging of green teas can change its flavours. Fenghuang (Phoenix) Green Tea is one of the very few tea varieties from the region. It grows on Fenghuang Mountain in Chaozhou City famous for Fenghuang Dancong tea (an oolong variety). The region has mild and humid climate. Fenghuang tea has had a long history, it was said that during South-Song Dynasty, the Emperor went to Chao-shan and passed-by the Fenghuang Mountain. His servant plucked the leaves from tea tree, prepared the drink and the emperor enjoyed it. Since then, it was widely planted. It was also named as Song Cultivar because it was planted since Song Dynasty. Up to date, the cultivar has lasted for more than 900 years. Tasting notes: The liquid is a clear golden color. The aroma evokes the fragrance of flowers. The taste and texture are earthy and smooth. The same green tea from the Fenghuang mountain aged for 5 years accidentally by the tea plantation owner. 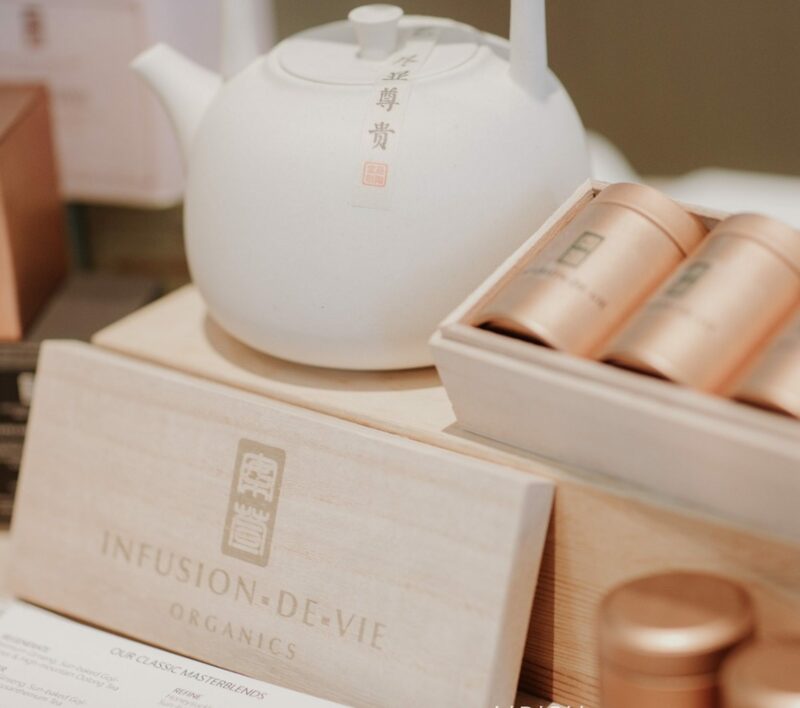 He shared that while it was not intended and that green teas are typically not meant to be aged, this tea evokes a unique flavour that recently became popular in the market. Tasting notes: The liquid is a slightly darker gold color. The aroma becomes more fruity instead of flora. The taste and texture becomes more complex with hints of tabacco. Kamairicha is a Japanese green tea produced by pan-frying tea leaves during the early stages of production. It is most commonly produced in the western region of Japan. Kamairicha has a mildly roasted flavour with more sweet and fresh notes than bitter ones. It does not undergo the usual steam treatments of Japanese tea. After a short withering, they are fired in hot iron pans of up to 300 °C with repeated agitation to prevent charring. The various rolling techniques used produce teas of different leaf form. It is made of leaves that are shaped like commas. The process of making kamairicha actually began in China and is similar to Chinese green tea-making processes. Tasting notes: Compared to the Fenghuang tea, you will noticeably taste the similarities, as the kamairi cha is more similar to chinese green tea more than the japanese style green tea, however, one will note that the roasted flavour is sweeter and fresher. Hojicha is a Japanese green tea. It is distinctive from other Japanese green teas because it is roasted in a porcelain pot over charcoal, whereas most Japanese teas are steamed. The tea is fired at a high temperature, altering the leaf color tints from green to reddish brown. The process was first performed in Kyoto, Japan in the 1920s and its popularity persists today. The roasting process used to make Hojicha also lowers the amount of caffeine in the tea. Because of its mildness, Hojicha is a popular tea to serve during the evening meal or after, before going to sleep. Tasting notes: The tea has a light reddish-brown appearance. It tastes less astringent due to losing it catechins during the high-temperature roasting process. The roasted flavors dominates this tea, as it replaces the vegetative tones of other varieties of Japanese green tea with a toasty, slightly caramel-like flavor. Note: Many members have asked us about purchasing larger quantity of some of the teas we curate, unfortunately these teas are produced in small batches and often the better harvests have been pre-purchased by buyers. However, for smaller quantity – we are able to help contact the farmers directly and link them to you. Please contact us at: info@infusiondevie.com. Majority of the tea produced in Japan is green. In order to produce green tea, oxidation of the tea leaves has to be stopped as soon as possible after they have been picked. This requires heating the tea leaves. The most widespread technique used today around the world, especially in China, is to heat the tea leaves by placing them in direct contact with a heated surface, such as a frying pan. However, Japanese green tea is made by heating the tea leaves using water vapour. After they are picked, the tea leaves are steamed. The technique originated in China, but disappeared several centuries ago. In the last curation, we brought 4 kinds of Japanese green teas focusing on the uniqueness of the esteemed Gyokuro, this month we bring to you another 4 different green teas from the various regions of Japan, namely Kagoshima, Shizuoka, Nara and Gifu. Hope you enjoy them! Please note that Japanese green tea needs to be brewed with water under 70 degrees Celsius. Ara-cha means crude tea, it has slightly higher moisture content, some stalks, and bigger leaves. If the shape and size of crude tea leaf varies too much, the taste will be inconsistent. Thia Ara-cha from Gifu is sent into a refining process where additional sorting process is carried out to separate the stalks, big leaves and stones. After sorting, the size of tea leaf is consistent, and moderate roasting is applied to maximise its flavour. Tasting note: Simple and unassuming green tea, with balanced taste of freshness and roasted umami. Kari-gane is a twig tea, a traditional style from Japan consisting of the stems and stalks discarded after making other teas. This Kari-gane is crafted in Kagoshima prefecture, located in the southern part of Kyushu. Using the same kabuse-cha tea leaves grown in the shade, the mild sun of the early spring and the sooting climate of the the southern Kagoshima region enhances the unique fragrance and increases the yield. Tasting notes: Compared to the Kabuse-cha from Kagoshima, this tea is equally flavorful, but a little more complex because of the mix of twigs and leaves, the aroma is flora with a mild sweet aftertaste. Using the kari-gane technique, we present another similar tea but from Shizoka further up north of Kagoshima. Shizuoka is the largest tea region in Japan accounting for more than 40% of the annual production. This is mostly because of its mild climate, even during the coldest days of winter, it does not snow very much, which makes it most suitable for tea cultivation. Tasting notes: Compared to the Kari-gane from Kagoshima, this tea is a little less flavorful and contains less umami, but more fragrant with stronger roasted scent. It also contains mild caramelised notes with a tinge of nutty flavours. Uji-cha refers to the tea that results from blending tea leaves from various regions and produced by tea manufacturers from Uji in Kyoto Prefecture. This Uji-cha is however single sourced from only from Nara. Working with traditional techniques to process the tea using tea leaves harvested in Nara selected for their taste, fragrance and astringency, the characteristic taste of this Uji-cha is well-regulated. Tasting notes: Like all quality Uji-cha, a single precise water temperature is not necessary to obtain a suitable brew. By infusing at a low temperature, the citrus scent and umami flavor will be highlighted, while infusing at a high temperature brings about strength and astringency. Pu’er teas are known as one of the most valued teas in the world, mainly driven by the complexity of its taste, aroma and the health benefits. It is also highly prized for its natural ageing process without the artificial accelerated fermentation used for other kinds of teas. In fact, many connoisseurs appreciate Pu’er as a living tea as its flavor enhances over time. Different from Whiskeys where ageing stops the moment it is taken out of the barrels, Pu’er teas continue to age and ferment naturally which makes aged teas taste different from younger teas of the same tree. In the last curation, we brought 3 kinds of unique pu’er teas and a special tea that resembles pu’ers. This curation will share 4 more Pu’er teas from Yunnan. Hope you enjoy them! “Lao Cha Tou” is known as the old tea nugget, which is formed during the Pu’er piling fermentation process. During the piling fermentation, the temperature increases gradually, and they ferment via their interior enzyme and slowly becomes ripe Pu’er. During the whole process, the workers need to stir and turn over the teas about 4-5 times, so that the heat will not burn the tea leaves. During the fermentation and stirring, the tea leaves excrete pectins and soluble sugar, as such some tea leaves cling together. Tasting notes: The nugget tea is of higher fermentation compared to the common ripe Pu’er teas. That explains the mellowness in tea soup and why its infusibility is better than the other ripe Pu’er. If the Lao Cha Tuo Pu’er is aged well, it demonstrated a mellow aged aroma without astringency and a sweet gold liquid. This young Cha Tuo is from the same region of Yong De, but compared against the earlier aged Cha Tuo, this spring harvested tea demonstrates vastly different characteristics . Tasting notes: Vis-a-vis to the aged nugget tea, this younger Pu’er is less mellow and contains higher levels of tannins, a slight nose of astringency and a lighter tea soup. It also contain a refreshing flora nose which is absent in the aged Cha Tuo. Large leaf Pu-ers are made from tea plants that have not been pruned and over the decades grow to become large old trees. Teas from old trees are highly prized, and are often sold at above market premium. Tasting notes: The young dry leaves are reddish brown in color, giving the tea liquid a very comfortable woody, dry date flavor which lingers in the mouth. The tea is mellow and smooth in mouth feel with little bitterness. Ban Zhang is a very famous village in Yunnan Province, China. The village is located on a 1500 high mountain. Within Ban Zhang village, there are “Xin Ban Zhang” (New Ban Zhang) and “Lao Ban Zhang” (Old Ban Zhang). Xin Banzhang tea is known for its stronger and aggressive flavors. Majority of the tea produced in Japan is green. In order to produce green tea, oxidation of the tea leaves has to be stopped as soon as possible after they have been picked. This requires heating the tea leaves. The most widespread technique used today around the world, especially in China, is to heat the tea leaves by placing them in direct contact with a heated surface, such as a frying pan. However, Japanese green tea is made by heating the tea leaves using water vapour. After they are picked, the tea leaves are steamed. The technique originated in China, but disappeared several centuries ago. In this curation, we bring 4 kinds of Japanese teas, 2 senchas from different regions, a kabuse-cha and the highly sought-after Gyokuro tea. Hope you enjoy them! Please note that Japanese green tea needs to be brewed with water under 70 degrees Celsius. Ashigara is the mountainous region in west kanagawa prefecture, near to Hakone, south of Tokyo. It is not a large tea producing area due to the limited production capacity. Furthermore, due to the radiation scare in 2011, Japanese central government decided to destroy the many batches of crops, hence it is very rare to find Ashigara Sencha in recent years. Tasting note: Beautiful clear liquor, with taste of freshness and subtle sweetness. Nose is fruity and floral, characteristic of mountainous sencha grown at high-attitude. This sencha from Sayama, a famous tea-producing area in the northern outskirts of Tokyo. This batch is harvested on the hilly plantations of Saitama in the first days of May giving it a gentle taste of spring. Tasting notes: It produces a rich green liquor with sweetness and a hint of bitter. It is also dense, but smooth, very mellow, with no astringency, and just the right amount of umami set off by a vegetal touch. This Kabuse-cha is crafted in Kagoshima prefecture, located in the southern part of Kyushu. Like gyokuro, kabuse-cha tea leaves are grown in the shade. However, the shaded period is shorter, lasting only around 10 days and the shading method is simpler. Due to the vicinity of the tea plantation to the active volcano, the tea crops in particularly rich soils, the mild sun of the early spring and the sooting climate of the the southern Kagoshima region enhances the unique fragrance and increases the yield. Tasting notes: Flavorful, brothy cup, with a sweet character and full, clean aftertaste. Gyokuro is one of the most expensive types of sencha available in Japan and the best comes from Uji, southern part of Kyoto. The peculiarity of gyokuro is that about 20 days before the scheduled day of picking, the tea plants are covered. This limits the conversion in the leaves of amino-acids (responsible for the umami sweetness of the tea) into catechin (tannin responsible for astringency) due to photosynthesis. Thus, a high-theanin and low catechin tea is obtained, that is very mellow, rich in umami flavor, and very little astringency. Note that brewing Gyokuro should use water between 50 and 60 ° C, in order to minimize the infusion of catechin. Tasting notes: This tea is very strong and mellow, because of the extremely rich amino acids. Its sweet flavor remains long in the mouth. These leaves are a dark deep green and its liquor is very clear, a light yellow-green color. This tea is divine. Tieguanyin (铁观音; traditional Chinese; literally: Iron Goddess of Mercy) is a premium variety of Chinese oolong tea originated in the 19th century in Anxi in Fujian province. In this curation, we bring 4 kinds of Tie Guan Yin teas, 3 spring harvest teas and 1 aged tea . Many think that Tie Guan Yin is just like the green tea because of the dry leaf is greenish in colour. However, this is absolutely wrong. In fact, Tie Guan Yin is a highly fermented tea despite its colour is green. Although it looks as green as green tea, it is very different from green tea. Tie Guan Yin’s fermentation rate is actually higher than Taiwan high mountain oolong tea. Tasting note: A light caramel taste with amber-green liquor and a smooth texture on the tongue. The flowery and fruity profile of this tea has a touch of pleasant orchid notes. Compared to the earlier Tie Guan Yin, this tea is grown as altitude of above 1000 metres. High mountain tea leaves grow slowly due to the lack of air in high altitudes. Hence, the yield of such tea are relatively low every year but the flavors and aromas are intensified. Tasting notes: A creamy and caramel taste, becoming sweeter through successive infusions as compared to the lowland tie guan yin. The nose is richer but not overwhelming, and sweet lingering aftertaste after subsequent brews. This heavy roasted Tieguanyin is bold and complex, it has been given more oxidation and a traditional-style, dark-brown roasting. Generally this type of oolong preferred by older Chinese tea drinkers, but in recent years, it has become popular with the younger drinkers. Tasting notes: A roasty-toasty rich flavor with significant ‘woodiness’ and a delightful melange of charcoal and chocolate aroma. Aged oolongs are rare in the world of teas. Unlike pu’ers that change through microbial activity, oolong leaves age naturally. And whereas pu’er teas are considered “living teas” that must be exposed to air, aged oolongs are often kept sealed as they age. This tea was harvested in 2009. While most aged oolong teas on the market are reroasted every few years, destroying most of their natural aged characteristics, this traditional style Tieguanyin has been left undisturbed. Tasting notes: The end result of aging is a tea rich with the aroma of plums and nuts, and a distinctly crisp finish, reminiscent of a fresh Tieguanyin, but with an added complexity and depth developed during the aging process. Pu’er teas are known as one of the most valued teas in the world, mainly driven by the complexity of its taste, aroma and the health benefits. It is also highly prized for its natural ageing process without the artificial accelerated fermentation used for other kinds of teas. In fact, many connoisseurs appreciate Pu’er as a living tea as its flavor enhances over time. Different from Whiskeys where ageing stops the moment it is taken out of the barrels, Pu’er teas continue to age and ferment naturally which makes aged teas taste different from younger teas of the same tree. In this curation, we bring 3 kinds of unique pu’er teas and a special tea that resembles pu’ers. Hope you enjoy them! Cha Tou is a tea nugget that forms naturally from the pressure and heat that occurs during the fermentation process. Typically during fermentation process to make ripe pu’er, the tea is piled up to about 1 meter high. It is kept wet to allow the fermentation process and the pile is turned every few days to allow for an even degree of fermentation, moving the tea from the bottom of the pile to the top of the pile where it is cooler and drier. The “cha tou” are the leaves that ball up and get stuck together. Tasting note: The tea is young, fermented in 2015 and it is smooth with natural flower taste. Despite the young age, it has already lost most of its post-fermentation smell. The tea liquor is a clear and deep red-wine color. Golden Buds pu’er tea are known for its young shoots being harvested during spring season, and hence giving it rich antioxidants and low level of chlorophyll in this early spring tea buds. Tasting notes: This pu’er has a mild aroma, reminiscent of cacao. The flavor is smooth with a tinge of sweetness. The native area for Brick tea processing is Southern Yunnan in China. Tea Bricks ‘Zhuan Cha’ were most commonly produced in ancient China prior to the Ming Dynasty, and at one time, used as currency. From a functional perspective, they were easy to transport along the silk trade route and were thereby compressed. Tea bricks are made primarily from the broad leaf ‘Dayeh’ Camellia Assamica tea plant varietal and are blocks of tea leaves that have been packed in molds and pressed into block form. This dry-aged ripe tea brick is made in Menghai, where it is famous for ripe Pu’er because of the consistent standard of high quality teas produced from the area. Tasting notes: Being suitably aged in a dry environment, this 12 years old pu’er is full-bodied and delivers a smooth taste with no musky flavors and a clear deep burgundy tea soup. While this is not a Pu’er, we would like to introduce this rare and expensive, found amongst the Guangxi minorities that is well-known for its cooling properties and higher nutritive value than regular tea. In Chinese it is called Chong Cha, means literally Worm Tea. it is basically a tea made of the droppings from these rare caterpillars. There are two species of caterpillar that used for production of this tea, Hydrillodes morosa and Aglossa dimidiata. Tasting notes: A red brown colored liquid similar to pu’er tea, and while it sounds scary it does have a pleasant minty fragrance and a herbal aftertaste.